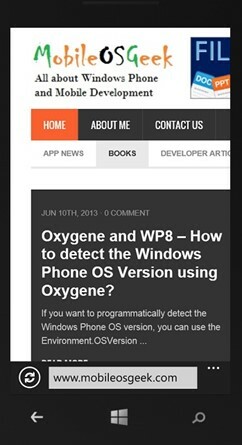 The Windows Phone 8 SDK provides the WebBrowserTask launcher which allows the user to navigate to the external URI using the web browser. To navigate to an external URL using WebBrowserTask, just create an instance of the WebBrowserTask and set the Uri property to the external link that should be displayed and call the show method. You are done. 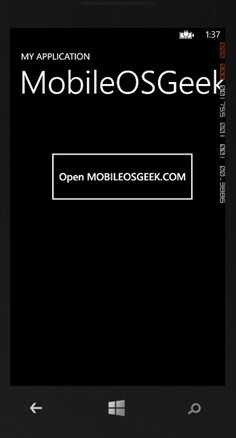 The link will be opened in the Web Browser of your Windows Phone. 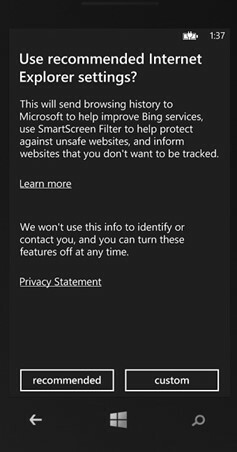 Note that the application is deactivated when the user views the page using the WebBrowserTask which will cause the WP8 to launch the browser.